Regional Training Course on Water Footprint Assessments for GCC and Arab Countries – 20 to 22 April 2015, Arabian Gulf University, Bahrain. 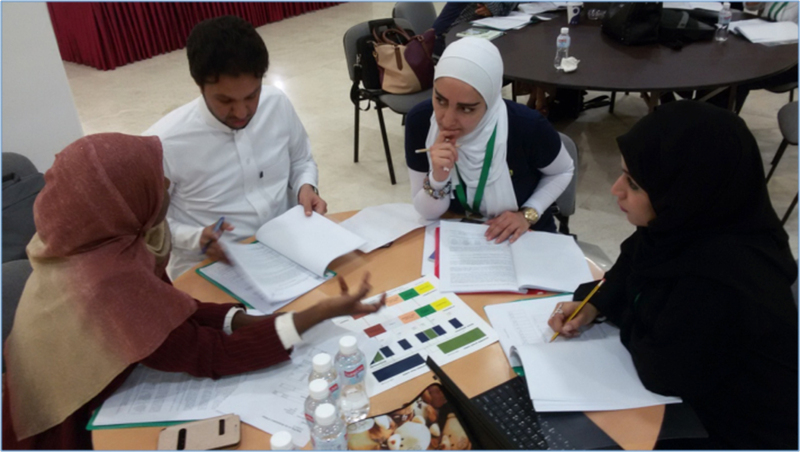 A regional training course on Water Footprint Assessments for GCC and Arab countries was held at the Arabian Gulf University (AGU), Bahrain from 20-22 April 2015. The course was jointly organized and supported by AWARENET, the Arab Integrated Water Resources Management Network, a Cap-Net regional network for capacity development in sustainable water management, the Water, Science & Technology Association (WSTA), the Arabian Gulf University (AGU), the Middle East and North Africa Network of Water Centers of Excellence (MENA NWC), United Nations Economic and Social Commission for Western Asia (UN ESCWA), and Cap-Net UNDP. Southeast Asia (SEA) Water Footprint Training Course – 24-26 February 2015, Flamengo Hotel, Ampang, Malaysia. UNESCO-IHP Malaysia in collaboration with UNESCO Jakarta, Water Footprint Network, Malaysian Capacity Development Network in Sustainable Water Management (MyCDNet), private organisations, lecturers and NGOs will be conducting a Southeast Asia (SEA) Water Footprint Training Course which will take place from 24 to 26 of February 2015 at Flamengo Hotel, Ampang, Malaysia. Individuals whom were previously trained in Pretoria, South Africa under the Cap-Net UNDP funded initiative in 2013 will become resource persons during the event.